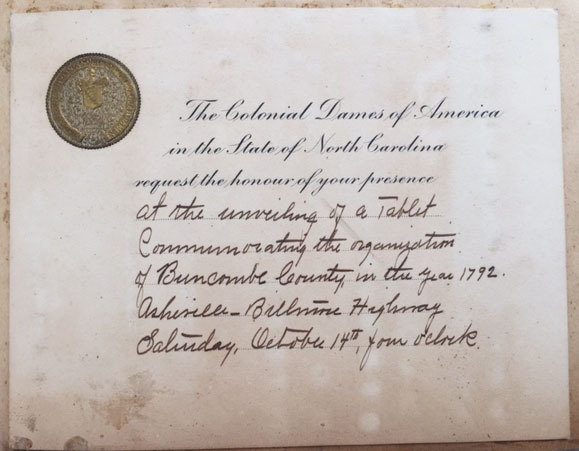 An invitation to the dedication of a tablet commemorating the organization of Buncombe County in 1792. The unveiling took place on October 14, 1923. Note: To enlarge the image on a PC, press the "control "and "+" keys simultaneously or "command" and "+" on a Mac.